Our two micro-lodges, “An Teallach” and “Beinn Ghobhlach”, are situated on our family croft overlooking the traditional fishing village of Ullapool. We offer cosy, comfortable all-year-round accommodation with under floor heating, shower & toilet, and a small kitchen comprising of an electric hob, microwave, kettle, sink and fridge. There is a comfortable double bed for two adults and a double sofa-bed suitable for two children or one adult. 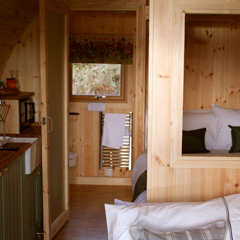 Both Bothies are fully serviced with bedding and towels for your stay, and all crockery and cutlery are supplied. Each spacious decking is furnished with outdoor table and chairs, a BBQ and fire-pit for each of the Bothies. Please let us know at the time of booking if you would like to purchase charcoal, logs and kindlers we can have them in your Bothy for your arrival. The Bothies are set on the hill-side offering you unspoilt panoramic views of Lochbroom and the hills surrounding the village of Ullapool below you. From your private decking you will be able to see the sun rise over the village and set over the Summer Isles. Ullapool is one of the main stops on the ever more popular North Coast 500 route, making this the ideal place for you to base yourself for a few days while you explore the local area. (*Low season is 1st November - 31st March, High Season is 1st April – 31st October). (*Low season excludes Christmas, New Year, Valentines and Easter). Set your alarm for an hour or 2 later and check out from The Highland Bothies up to 12noon, giving you more minutes to snuggle under the duvet! (Must be booked at time of booking). Let your break begin early by checking into The Highland Bothies from 3pm, an hour longer to relax and take in the views. (Must be boooked at time of booking). 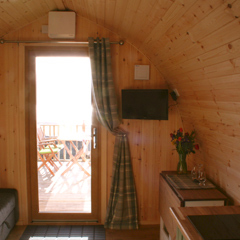 With cosy, comfortable furnishings, the An Teallach Bothy is a quiet and relaxing retreat. Enjoy breakfast outside on the decking, or watch the sun set as your dinner cooks on your barbeque. Beinn Ghoblach is identical to An Teallach, except that dogs are permitted in this Bothy. 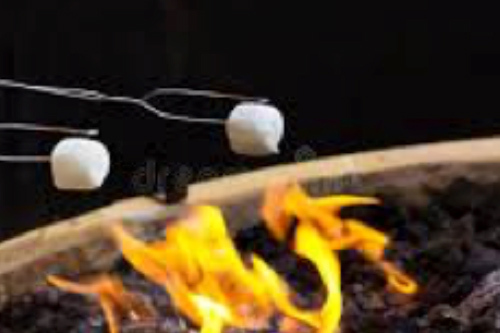 After a long day exploring, why not light up your fire-pit and enjoy a glass of wine or toasted marshmallows. For that special occasion (engagement, honeymoon, anniversary, birthday or just to treat yourselves) we will be happy to source any little extras. e.g. 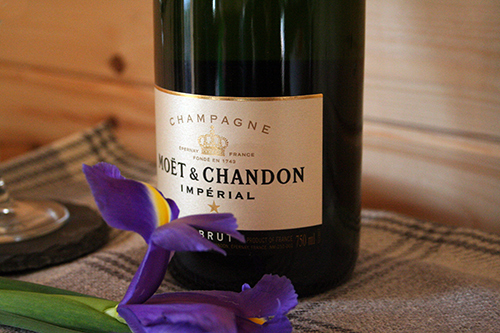 Champagne, chocolates, flowers, at an additional cost. Please let us know when booking. 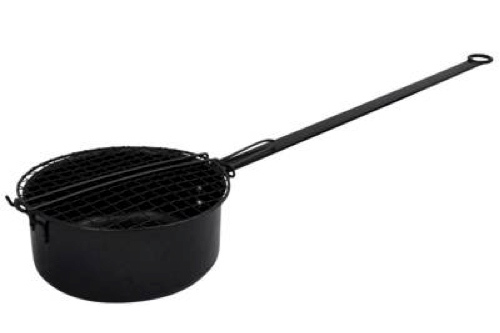 Hire of a popcorn pan for use over the fire pit, with a bag of popping corn and oil. Bag of roasting marshmallows, extendable roasting sticks, and pack of rolos (great to put inside marshmallow and roast together). The Ullapool Dance Festival begins on 1st till 4th March. Or if you fancy taking in a spot of music then King Creosote and Hamish Hawk are playing at the Ceilidh Place on the 8th, tickets just £15.00. There are many other events during March just visit www.ullapool.com for more information.